We are a leading Manufacturer of concrete mixer machines, concrete mixer machine, hydraulic concrete mixer machine, 10/7 hh concrete mixer machine, miller type concrete mixer and hopper concrete mixer machine from Coimbatore, India. To meet the diversified requirements of our prestigious clients', we are offering an assorted range of Concrete Mixer Machines. Our skilled personnel manufacture this mixer machines by using superior quality components and contemporary technology in sync with industry norms. So as to ensure the quality, these mixer machines are stringently tested on different parameters. The offered mixer machines are available in different technical specifications and designs for our prestigious clients to choose from. Counted as one of the prominent organizations, we are involved in offering a wide range of Concrete Mixer Machine. These are precisely designed as per international industrial standards and by implementing best available technologies. Our machines are compact in size and acclaimed for user friendly applications and corrosion resistance. Our machines are available at feasible prices. 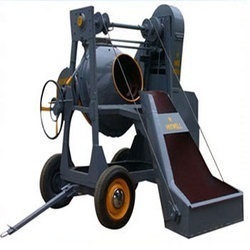 We Are The Leading Manufacturer And Suppliers of Concrete Mixer Machine In Coimbatore,Tiruppur,Karur,Erode,Salem,Chennai,kochi,Karnataka,Kerala. Counted as one of the prominent organizations, we are involved in offering a wide range of Hydraulic Concrete Mixer Machine. These are precisely designed as per international industrial standards and by implementing best available technologies. Our machines are compact in size and acclaimed for user friendly applications and corrosion resistance. Our machines are available at feasible prices. 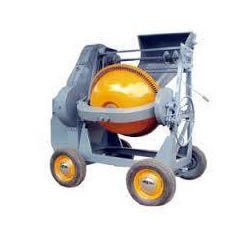 Features: • Abrasion and weather resistant cover • Rust proof • Durability We Are The Leading Manufacturer And Suppliers of Hydraulic Concrete Mixer Machine In South India Such As Coimbatore,Tiruppur,Karur,Erode,Salem,Chennai,kochi,Karnataka,Kerala. Counted as one of the prominent organizations, we are involved in offering a wide range of 10/7 HH Concrete Mixer Machine. These are precisely designed as per international industrial standards and by implementing best available technologies. Our machines are compact in size and acclaimed for user friendly applications and corrosion resistance. Our machines are available at feasible prices. We Are The Leading Manufacturer And Suppliers of 10/7 HH Concrete Mixer Machine In Coimbatore,Tiruppur,Karur,Erode,Salem,Chennai,kochi,Karnataka,Kerala. Enriched with vast industrial experience, we are involved in offering a qualitative assortment of Hopper Concrete Mixer Machine. Designed using finest quality components, these machines ensure maximum durability, robustness and rough and tough usage. Our machines are acclaimed for their effective performance, corrosion resistance and precise designs. We Are The Leading Manufacturer And Suppliers of Hopper Concrete Mixer Machine In South India Such As Coimbatore,Tiruppur,Karur,Erode,Salem,Chennai,kochi,Karnataka,Kerala. 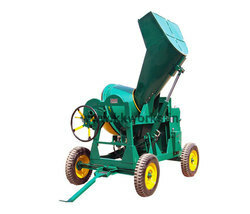 We specialize in offering a wide range of Clutch Concrete Mixer Machines. These machines are manufactured by implementing best available technologies and following international industrial standards. Demands of these machines are increasing day by day owing to its robustness, optimum strength and effective performance. These machines are admired for their high functional efficiency. 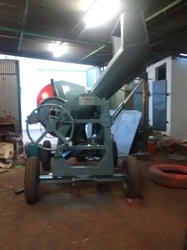 We Are The Leading Manufacturer And Suppliers of Clutch Concrete Mixer Machines In South India Such As Coimbatore,Tiruppur,Karur,Erode,Salem,Chennai,kochi,Karnataka,Kerala. 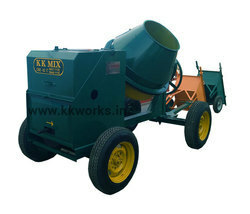 We hold expertise in offering a wide range of Hand Operated Concrete Mixer. Compact designed these devices are very easy to install and operate and available with us in various technical specifications and dimensions. Our devices are very easy to install and available with us in various specifications, dimensions and range. 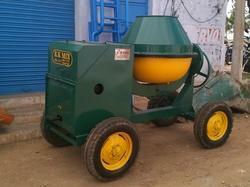 These Hand Operated Concrete Mixers are offered at feasible prices. 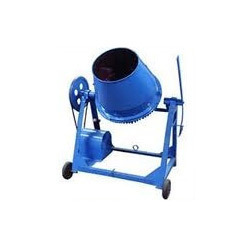 We Are The Leading Manufacturer And Suppliers of Hand Operated Concrete Mixer In South India Such As Coimbatore,Tiruppur,Karur,Erode,Salem,Chennai,kochi,Karnataka,Kerala. We are a noteworthy organization devotedly engaged in offering wide gamut of Clutch Type Concrete Mixer Machine. Our offered mixer machine is manufactured using quality tested raw material and advanced technology in compliance with industry norms. Owing to different quality features like high efficiency and optimum performance, this mixer machine is highly acknowledged in the market. 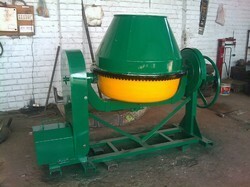 Apart from this, our quality examiners test this mixer machine on various quality parameters. Counted as one of the prominent organizations, we are involved in offering a wide range of Hydraulic Concrete Mixer Machine. These are precisely designed as per international industrial standards and by implementing best available technologies. Our machines are compact in size and acclaimed for user friendly applications and corrosion resistance. Our machines are available at feasible prices. • Durability We Are The Leading Manufacturer And Suppliers of Hydraulic Concrete Mixer Machine In Coimbatore,Tiruppur,Karur,Erode,Salem,Chennai,kochi,Karnataka,Kerala. Counted as one of the prominent organizations, we are involved in offering a wide range of Hydraulic Concrete Mixer. These are precisely designed as per international industrial standards and by implementing best available technologies. Our machines are compact in size and acclaimed for user friendly applications and corrosion resistance. Our machines are available at feasible prices. We Are The Leading Manufacturer And Suppliers of Hydraulic Concrete Mixer In Coimbatore,Tiruppur,Karur,Erode,Salem,Chennai,kochi,Karnataka,Kerala. Counted as one of the prominent organizations, we are involved in offering a wide range of Concrete Mixers. These are precisely designed as per international industrial standards and by implementing best available technologies. Our machines are compact in size and acclaimed for user friendly applications and corrosion resistance. Our machines are available at feasible prices. We Are The Leading Manufacturer And Suppliers of Concrete Mixers In Coimbatore,Tiruppur,Karur,Erode,Salem,Chennai,kochi,Karnataka,Kerala. 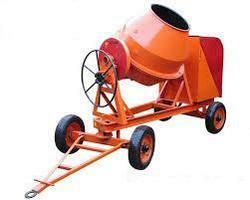 Counted as one of the prominent organizations, we are involved in offering a wide range of Cement Concrete Mixer. These are precisely designed as per international industrial standards and by implementing best available technologies. Our machines are compact in size and acclaimed for user friendly applications and corrosion resistance. Our machines are available at feasible prices. We Are The Leading Manufacturer And Suppliers of Cement Concrete Mixer In Coimbatore,Tiruppur,Karur,Erode,Salem,Chennai,kochi,Karnataka,Kerala. Enriched with vast industrial experience, we are involved in offering a qualitative assortment of Concrete Mixer Without Hopper. Designed using finest quality components, these machines ensure maximum durability, robustness and rough and tough usage. Our machines are acclaimed for their effective performance, corrosion resistance and precise designs. We Are The Leading Manufacturer And Suppliers of Concrete Mixer Without Hopper In South India Such As Coimbatore,Tiruppur,Karur,Erode,Salem,Chennai,kochi,Karnataka,Kerala. 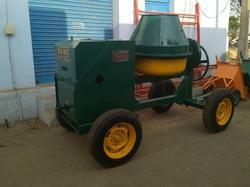 Counted as one of the prominent organizations, we are involved in offering a wide range of 10/7 Cft Concrete Mixer. These are precisely designed as per international industrial standards and by implementing best available technologies. Our machines are compact in size and acclaimed for user friendly applications and corrosion resistance. Our machines are available at feasible prices. Features: • Abrasion and weather resistant cover • Rust proof • Durability We Are The Leading Manufacturer And Suppliers of 10/7 Cft Concrete Mixer In Coimbatore,Tiruppur,Karur,Erode,Salem,Chennai,kochi,Karnataka,Kerala. Counted as one of the prominent organizations, we are involved in offering a wide range of Hydraulic Hopper Concrete Mixer Machine. These are precisely designed as per international industrial standards and by implementing best available technologies. Our machines are compact in size and acclaimed for user friendly applications and corrosion resistance. Our machines are available at feasible prices. We Are The Leading Manufacturer And Suppliers of Hydraulic Hopper Concrete Mixer Machine In Coimbatore,Tiruppur,Karur,Erode,Salem,Chennai,kochi,Karnataka,Kerala. We are remarkable entity, engaged in offering high quality Light Duty Concrete Mixer. The offered concrete mixer is manufactured by our adroit professionals in sync with industry quality norms from quality proven components and progressive technology. 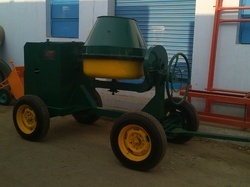 In order to maintain the quality, this concrete mixer is tested on different quality parameters. 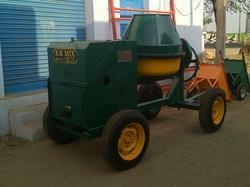 Our provided concrete mixer can be designed in various sizes and designs as per the requirements of the clients. 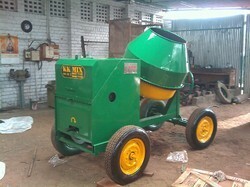 We specialize in offering a wide range of Concrete Mixer Machine. These machines are manufactured by implementing best available technologies and following international industrial standards. Demands of these machines are increasing day by day owing to its robustness, optimum strength and effective performance. These machines are admired for their high functional efficiency. We Are The Leading Manufacturer And Suppliers of Concrete Mixer Machine In South India Such As Coimbatore,Tiruppur,Karur,Erode,Salem,Chennai,kochi,Karnataka,Kerala.